Hey crafty friends! 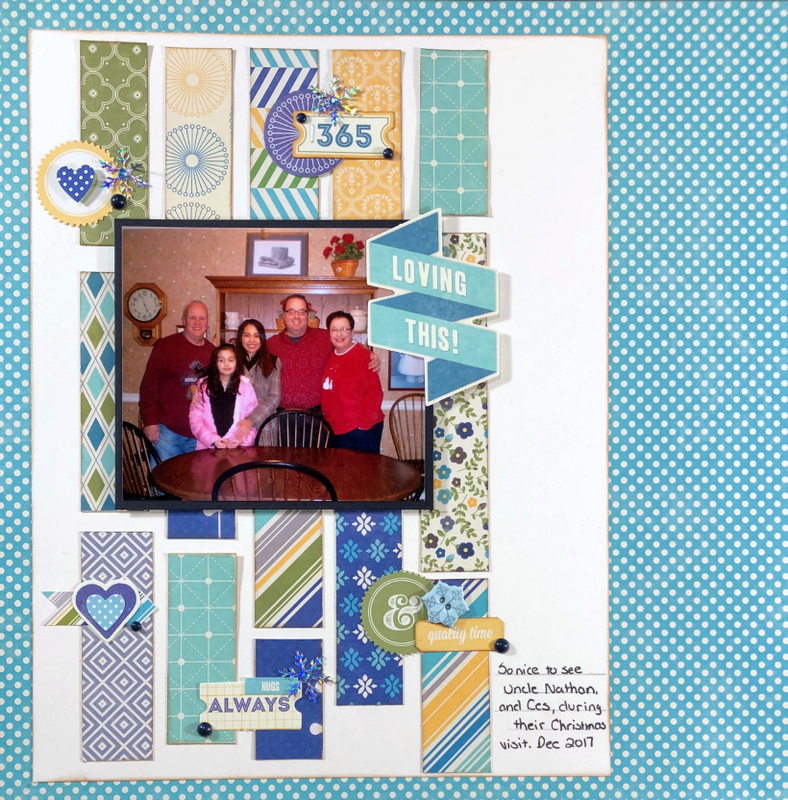 Welcome to my first December reveal for Scrap Our Stash. 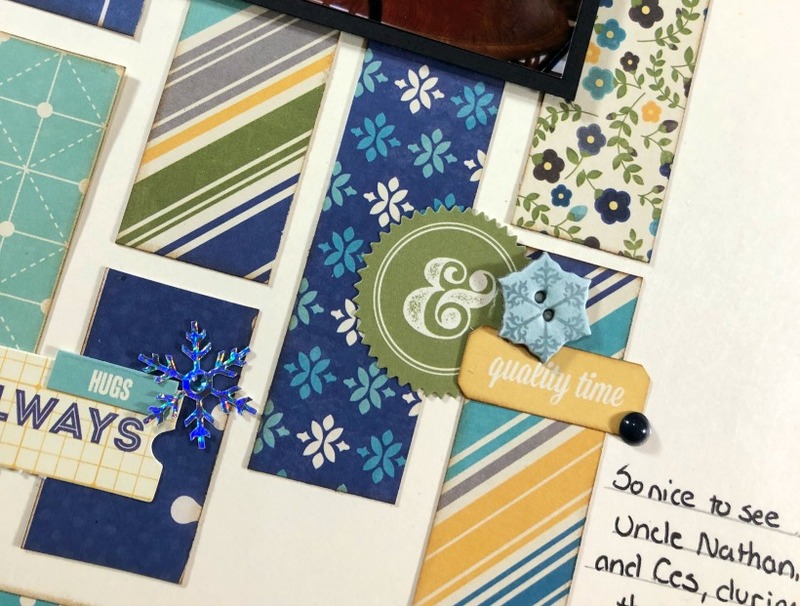 For the Golden Globe challenge we were to use the movie Gift Of Love (another I’ve never heard of), create a winter layout and use snowflake embellishments. Tall order right! Well, I think my family christmas scrapbook layout fits the bill in a non traditional way. Since I haven’t seen this movie either I went with the Christmas theme from the title and choose a photo of my parents and our family friends Nathan (and his family) taken last Christmas. I have known Nathan my entire life, and his sister was the matron of honor in our wedding if you’ve seen any of those layouts. He lives in Georgia now so we don’t get to see him as often as we’d like so I had to make sure to document this photo. I went with non traditional Christmas colors because honestly…I find them hard to work with. Finally we had to use snowflakes as part of our embellishments. I have four scattered around the page. I used foil ones so that they would be on the page, but your eye wouldn’t go right there and scream…SNOWFLAKE!!! Can you find all four? I think that’s it for now guys. Stay tuned for the last reveal of the year for Scrap Our Stash coming on the 23rd. It also happens to be my brother’s birthday 🙂 Until next time…Stay Crafty! !